WordPress in itself is a decent system but plugins can really take it to the next level. Adding top WordPress plugins can make WordPress into the Swiss Army Knife of websites: just pull out whatever functionality you need for your specific site! Many people have asked us for our list of top WordPress plugins. Of course, we’ve written quite a few WordPress plugins ourselves, but the list of great WordPress plugins is much larger than that. In the article below, we list the top WordPress plugins we use ourselves, on this site or other sites we build, analyze & optimize. This list changes over time; this is probably not the last time we updated it. Note: we listed the plugins in random order. It makes the sites you build perform to your expectations, instead of slowly crawling. And yes, I think every site should be cached to get the maximum performance for each and every user, not just when you start hitting social sites. We recommend using WP Rocket for that. On a side note: we really like WP Rocket, but if your site is hosted by a great company like SiteGround (like ours is) caching and more speed optimization is taken care of. This eliminates the need for a caching plugin. Since we sold our Google Analytics for WordPress plugin to Monster Insights, they have actively developed and improved what we feel is the best plugin for adding and analyzing Google Analytics data right in your WordPress dashboard. Please check out Google Analytics by Monster Insights for yourself. If your site grows larger and larger, you might start to feel the need to move around some pages. A decent site structure helps Google to crawl your site in the most efficient way. Nested Pages uses a nice drag-and-drop interface to maintain that site structure. We predict a vast increase in the number of sites that are built solely in AMP as a replacement for your regular website. It probably takes some years, but bottom line is that AMP makes your website more user-focused and faster. Prepare your website with this plugins: AMP. Not having a backup isn’t an option if you rely on your website for your business. 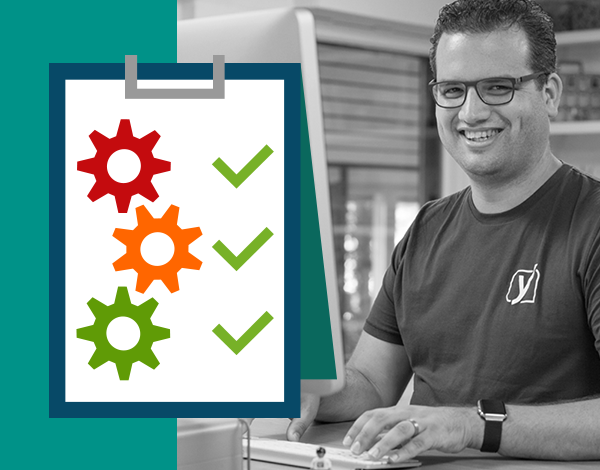 For Yoast SEO Care, we rely on Blogvault to create backups of every site we address. For your website, BlogVault creates incremental backups, so your site won’t be overloaded. It’s no secret that we really like Sucuri’s security solutions for WordPress. Awesome security monitoring and great service. At least install their Sucuri Scanner plugin. But I recommend checking Sucuri WAF and other products and decide what works best for you. I wouldn’t even overthink adding this plugin to your WordPress site. It’s no hassle and will add an extra layer of security to your website. An alternative could be Rublon, which works in a similar manner, but we usually use WP Google Authenticator. For an extra layer of security, we recommend installing a plugin like Login Lockdown, that prevents automated login requests from firing a gazillion login attempts. If some IP range does a surplus of attempts, the login function is disabled for all requests from that range. For more details, check Login Lockdown in the plugin repo. Yes, I would like to name just one. But the truth is that it depends on your website what plugin works best. We have used Smush, tried EWWW. Kraken.io has a plugin and ShortPixel has one. And has anyone tried the premium Imagify? I would really like to see a comparison for these plugins from an independent, image-heavy website. For now: pick one and use it. Both are great plugins to create drag-and-drop forms. Both provide an option for conditional logic and are really easy to use. If you have a form on your website, and any website that has a contact page should have a form, I recommend using Gravity Forms or Ninja Forms. Sometimes you need to do a search and replace in your database in order to make things work right, like after a domain migration. There are more plugins that can help you do a search and replace in your database, but we have used Better Search Replace and found it very helpful. As database actions shouldn’t be taken lightly, I recommend always performing a so-called dry run before doing the actual replacement. This plugin allows for that dry run. No, we’re not leaving our own main plugin out here. Simply because you really need it. We believe this is the best SEO plugin out there, in our own humble opinion of course. Install it on all your websites, simply because it takes care of all the SEO hassle and guides your editors into better writing. To date, this is the only SEO plugin that is developed by SEO experts, where all the others are made by friendly people that are first and foremost software developers. We stay on top of any changes in SEO and make sure these changes are implemented in the way we optimize your website. That is why we feel our Yoast SEO for WordPress plugin should definitely be in this list of top WordPress plugins. Every WordPress website owner occasionally stumbles upon a problem that could probably be fixed in a heartbeat with a handy WordPress plugin. That’s what makes WordPress great, right? I recall a friend of mine asking about the possibility of an answering machine on his website. There’s a plugin for that. Need to add testimonials in an orderly way? There’s a plugin for that as well. Plugins range from large, like our Yoast SEO plugin (which every website needs) to really small, with almost Hello Dolly-like impact. No matter what the size, plugins can come in really handy, especially when you’re not a developer or you lack the capacity. In this post, I’ll go over a number of plugins that really saved my day in the past! Especially webmasters that have had their sites for ages will recognize this issue: a lot of themes you can find in the WordPress theme repo just look a lot better with a post thumbnail, but not all of your posts have that thumbnail. It doesn’t matter if your theme allows for a list of recent posts or if it includes excerpts on your archive pages, chances are that they will include post thumbnails. That just looks so nice, right? The legacy of your old posts without a thumbnail makes that the alignment of a collection of posts (f.i. in a widget) looks off. It looks messy. In comes Auto Post Thumb Pro. When I wanted to repost Instagram images on a website, this plugin made sure there was a thumbnail for every post. And (re)generated thumbnails for every older post. After installing this plugin, I can use any theme I wanted to use that displayed these thumbnails on (almost) every page. By the way, if you are looking for a new theme for your blog, I can recommend Anders Noren’s themes. I’ve used a few and really like the clean designs and easy-to-use setup. One of the things we come across in our SEO consultancy is duplicate content caused by displaying entire posts on taxonomy pages (like category pages). WordPress has plenty of ways to display excerpts instead of full posts. Usually, one of the requirements is using a <!-- more --> tag in your posts. Include that tag by clicking the icon in the image, located at the styling options on the Edit pages in WordPress. If you feel that that’s too much of a hassle, the Easy Custom Auto Excerpt plugin will help you out. It’s one of those plugins that you install, configure and forget about, simply because it works. The Easy Custom Auto Excerpt plugin allows you to automate that more tag by, for instance, adding it after a number of characters or after the first (or first two) paragraphs. It allows you to do some basic tweaking of how that excerpt looks like (alignment of the thumbnail for instance). In the premium version, you can also fine tune the Read more button – a feature that convinced me to purchase a license – and disable excerpts for certain post types (like posts that just contain an awesome photo). Of course, this depends on the type of blog/site that you have. Go see for yourself how this handy WordPress plugin can help you out. What to say about this handy WordPress plugin? If you’re a bit like me, you installed, removed and re-installed your share of lightbox plugins. The horror! They either don’t work out of the box, add fancy stuff to that pop-up or simply ignore your galleries. And how about those previous/next buttons that are too small to click. Not to start about how crappy things look on a mobile device, right? I found Responsive Lightbox to be a nice solution. If you are sick and tired of your current lightbox plugin, install this plugin and see for yourself. simply add some lines of CSS code via this little plugin: Simple Custom CSS. It does just that. I really like it. There are more handy WordPress plugins that do this, but I found this one to be both the less bloated (I just want to add CSS, not learn CSS) and the one that works without the constant need to add !important to my declarations. Last but not least, I’d like to add this little gem Joost developed: Yoast Comment Hacks. If you have a WordPress blog and receive a lot of comments, use this plugin to add some smart extras to your comment maintenance toolkit. Among others, it allows you to thank first-time commenters by redirecting them to a thank you page. It also allows you to set a minimum comment length, for instance. Go check for yourself how this little handy WordPress plugin can make maintaining your comments just a bit easier! I’d love to hear about your favorite handy WordPress plugins in the comments! Recently, we visited Conversion Hotel, an excellent event about (yes) conversion. One of the speakers whose story we liked best, was Amy Harrison. 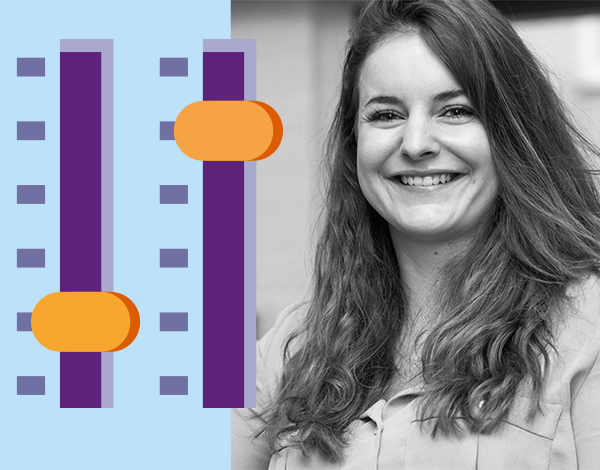 Amy talked about conversion copywriting and stated that when you lose customer focus, you’ll end up writing product focused copy or just using best practices from your industry. That won’t make you stand out from your competitors, and even worse: it won’t let you connect to your customers. One of the things we found, when asking our site review customers about expectations and ways to improve our product, is that many customers would really like regular guidance. Instead of just a one time report. 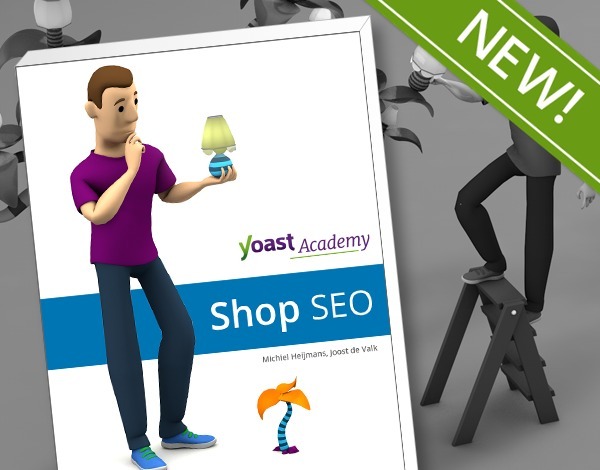 After some thinking and shaping, that resulted in our new service: Yoast SEO Care. 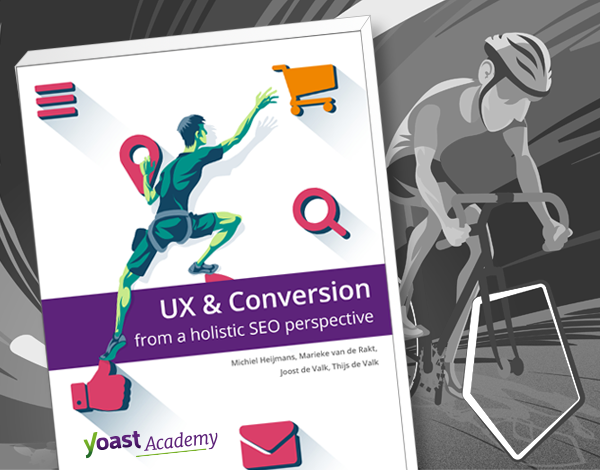 In Yoast SEO Care, we touch base with customers on a monthly or quarterly basis on what needs to be improved on their website to rank better or get more traffic. We encourage users to use Github and not just send us random tweets with feature requests :) Feature requests on Github equal surveys on your website in the way that these are all things your user wants or expects your product to do. Sometimes feature requests can be handled quickly, when a feature is already there but just not found by your customer. Sometimes they end up on a pile of user/installation specific feature requests – you can’t win ’em all. But if a feature is requested by enough users, you probably are inclined to add it as a future feature to your roadmap. Something that’s always up for discussion is how to load new content on your archive, category or search results pages. You can do this in a number of ways. You can list a certain amount of posts or products and add a ‘next’ link at the bottom of that list. You can add a ‘load more’ button at the bottom. Or even load more content when scrolling down (infinite scrolling). Or, you might add numeric pagination at the bottom of your page, so users can jump to the next, or last page. In this post, we’ll tell you what works best for SEO. I’m not a huge fan of ‘older’/’next’/’newer’/’previous’ links at the bottom of my page. It leaves me stranded with no idea how long my journey is going to be. It’s unclear and doesn’t trigger me to click. In that case, I’d rather find the site’s search form and look for specific blog posts or products. Although Google is able to follow that link to the next page, it will take a vast amount of time to index all the subpages of archives on larger sites. Our Yoast SEO plugin helps a bit by adding rel=”next” and rel=”prev” to pages like that, but it’s still up to Google to see how many archive links it wants to follow per crawl session. This is, obviously, not my preferred method. That brings us to UX and conversion. Infinite scrolling gives the user a smooth experience, however the focus lays less on the individual items. Usually the focus shifts to displaying the most current information at the top of the page, which obviously makes sense for social media, like Twitter or Facebook. 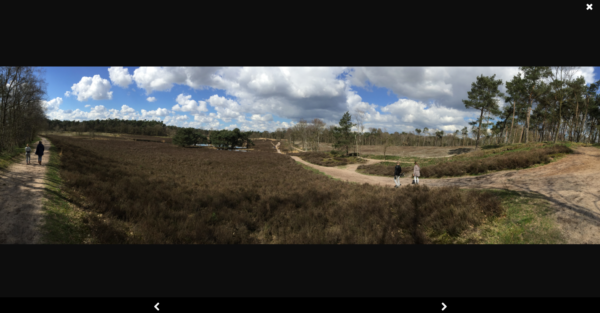 And, since we’re discussing infinite scroll: have you ever tried to reach the footer at instagram.com? I really wanted to click that API link in the footer the other day. But that’s just another reason I prefer our next option: pagination. That way, you’re not just sending people to consecutive pages, but also guiding them to others. The benefit of this is that every page in the archive becomes reachable within just two, maybe three clicks. Even with search engines picking up on your XML sitemaps for all the pages, this provides links on a specific page that lead to specific, related pages, which in return could help your SEO. One extra remark here: even in paginated archives like this, it pays off to add the rel=”prev” and rel=”next” tags to your template, to tell Google how consecutive pages relate in that archive. 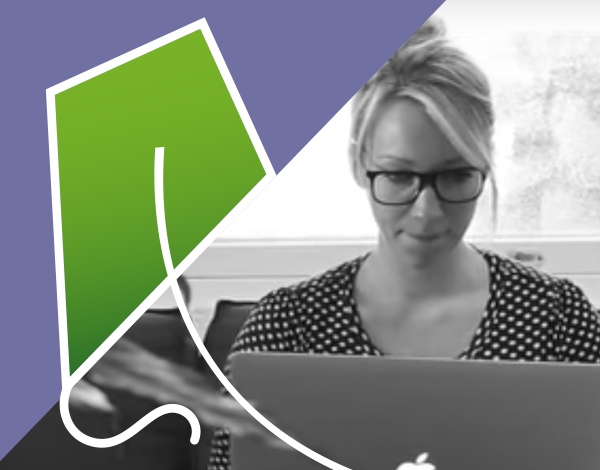 Even though Google and other search engines are getting better and better to index your site – no matter what kind of archive or category ‘experience’ you provide your visitor – we’d still like to recommend pagination. Infinite scroll is a great method to use, when the focus lays less on the specific items of a page and more on going through the archive. Pagination helps your visitor and Google to ‘jump’ through your archive and find specific items they’re looking for. What are you using and why? Let us know! When you google “what’s a slug”, you’ll find that the definition we’re looking for is “a part of a URL which identifies a particular page on a website in a form readable by users.” It’s the nice part of the URL, which explains the page’s content. In this article, for example, that part of the URL simply is ‘slug’. Filter our all the unnecessary words. Filter out “a”, “the” and “and” and similar words. We have written a tad bit more on stop words in our WordPress SEO article. For users of our Yoast SEO plugin: you might have noticed we filter stop words out by default. There is one thing to keep in mind here. “Slug” as a subject is not likely to get another page on its own on our blog. This informative article will most probably remain the central point for information about slugs on our website. So I can reduce the slug to just “slug” for that reason. If this was an additional post to a main article, it would probably have been something like “optimize-slug” (and I wouldn’t have explained what it is, for that matter). So, do consider the page’s level or position on your website. So you need to keep that in mind as well. Next to this, a short slug, right after the domain, will allow Google to show these keywords it in its mobile search result pages as well.